Valarie Gelb is CEO of TheBarnYardGroup, a leading advisory group, with a passion for storytelling, and a sharp focus on emerging media, building online communities, and advancing technology by partnering with agencies for the brands they serve to formulating and implementing marketing strategies. The company is built on a foundation matching, curators, contents and causes and providing counsel in sales, marketing, media, entertainment, and technology. Prior to this, Ms. Gelb was Chief Sales Development Officer and Executive Vice President, MasterCard Worldwide, 1997 to 2010. She was one of the eighteen top executives who served on the Management Committee chaired by the CEO and was responsible for the global sales force in 210 countries and territories. Her expertise lies in the areas of payments; strategic development, global customer due diligence, products and solutions, sales, marketing, business development, multi-channel distribution, operations, technology, e-commerce and risk management. Ms. Gelb holds an MBA and an Undergraduate Business Degree with emphasis in Finance and Economics from Baldwin Wallace University. 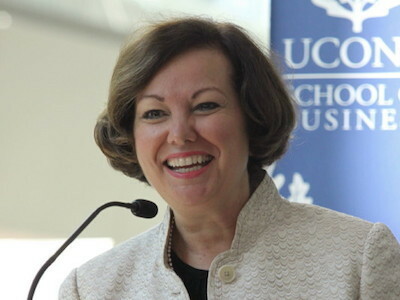 She served as the interim Chief Executive Officer for the Global Fund for Women and currently co-chairs their Leadership Advisory Board; and is Chairman of the Board of MPOWERD and a Lead Board Director at Cimbal, Inc., and President of the IWF Connecticut.